Brigitte Lin starred in countless swordplay films, but few were as passionate as this adaptation of the eponymous wuxia novel, starring Lin as Lian Nichang, the adoptive heiress of an occult sect, who falls for swordsman Zhuo Yihang. Their ill-fated love transforms the stricken Nichang transforms into a murderous white-haired witch consumed by unstoppable rage. 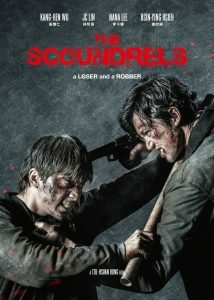 An operatic and sensuous take on Romeo and Juliet told in artful, violent and glorious Hong Kong cinema style. Production Companies: Ronny Yu Films Ltd.
Brigitte Lin starred in countless swordplay films, but few were as passionate as this adaptation of the eponymous wuxia novel, starring Lin as Lian Nichang, the adoptive heiress of an occult sect, who falls for swordsman Zhuo Yihang. Their ill-fated love transforms the stricken Nichang transforms into a murderous white-haired witch consumed by unstoppable rage. An operatic and sensuous take on Romeo and Juliet told in artful, violent and glorious Hong Kong cinema style. 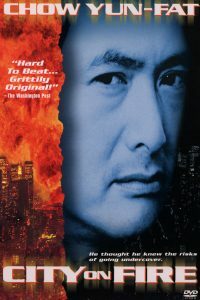 The film’s main character, Lian Nichang, is loosely based on the protagonist of Liang Yusheng’s novel Baifa Monü Zhuan, which had earlier served as source material for the 1982 film Wolf Devil Woman. 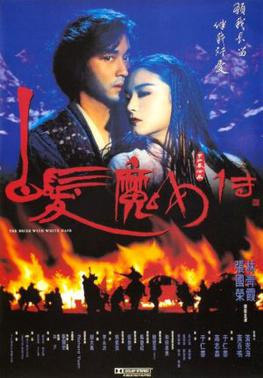 However, Yu saw the film as a Romeo and Juliet story and said that the lovers’ struggle against fate and their heroic duty inspired him more than the familiar trappings of most martial arts adventure films. As such, the film departs significantly from the original source. A sequel, The Bride with White Hair 2, directed by David Wu, was released later in the same year. Zhuo Yihang was raised by Taoist Ziyang of the Wudang Sect and groomed to become a young chivalrous swordsman. He is placed in command of a coalition army formed by the eight major orthodox martial arts sects, which aim to prevent an evil cult from infiltrating China. 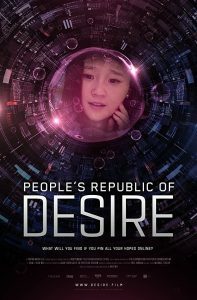 During a battle against the cult, Zhuo Yihang meets a young woman called Lian Nichang and falls in love with her. She is an orphan and was raised by wolves as an infant before being adopted by Ji Wushuang, the Conjoined twins who lead the cult. After consummating their romance, Lian Nichang decides to leave the cult and follow Zhuo Yihang in pursuit of an ordinary life away from the jianghu (martial artists’ community).